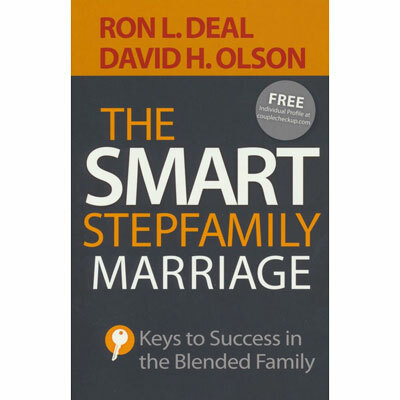 Leading blended family authority Ron Deal and marriage and family expert David Olson show you how to build on your relationship strengths and improve your weaknesses. Whether you're dating, engaged, a young stepfamily, or an empty-nest couple, The Smart Stepfamily Marriage gives you the tools you need at any stage to create a remarriage that will last. Each chapter of this book explores one of the key qualities of happy remarriages as identified by research. Like a GPS for your relationship, this book has built-in discussion questions that can help you and your partner discover where you are, where you'd like to be, and how to get there. The online survey gives you a report with personalized results for your relationship. Backed by the world-renowned PREPARE/ENRICH program and endorsed by notable experts including Dr. Gary Smalley, Dr. Gary Chapman, Dr. Scott Stanley, and Dr. Francesca Adler-Baeder of the National Stepfamily Resource Center, this book explores issues such as communication, finances, sexuality, parenting, and spiritually. By bringing experience and expertise together, The Smart Stepfamily Marriage gives couples the tools they need to build a marriage that lasts a lifetime. The Smart Stepfamily Marriage Small-Group Study Guide This FREE companion small-group guide encourages transparency and intensifies your learning experience. Whether you are dating, engaged, or already married, learn how to beat the odds of divorce and help other couples do the same. Ron Deal is a marriage and family author, conference speaker, and therapist. He is the director of FamilyLife Blended and President of Smart Stepfamilies. A recognized expert in marriage and blended families, Ron is a member of the Stepfamily Expert Council for the National Stepfamily Resource Center, and is a Licensed Marriage and Family Therapist and Licensed Professional Counselor with nearly 25 years experience in local church ministry and family ministry consulting. Ron is also a popular conference speaker and has appeared in dozens of national radio and TV broadcasts both in the US and Canada. Ron Deal is husband to Nan (since 1986) and proud father of Braden, Connor, and Brennan. David H. Olson, PhD, is founder and president of Life Innovations, which produces a variety of products designed to build stronger marriages. A national and international marriage and family expert, Olson is professor emeritus at the University of Minnesota and the author of more than twenty books. He lives in suburban St. Paul, Minnesota.